Let’s test the theory that waiting for a recession is the best time to pay for that $60k kitchen remodel. Sure the price will be cheaper but what about losing out on gains that come from investing at the bottom of the market? Whenever you decide on one option you are prevented from pursuing other options. That is called opportunity cost. In the example of a kitchen remodel you can either do the remodel, or keep the money and use it for something else such as investing it and letting it grow. Remodel the kitchen during an economic boom. Labor prices are high because all the remodeling contractors are busy with jobs. Some contractors are so busy they don’t bother to return your calls. Materials costs are competitive and you’d be paying retail for the cabinets, sink, fixtures, etc. A reasonable quote would be $60k during an economic boom. Remodel the kitchen during a recession. Labor prices are low and bids are plentiful because the majority of remodeling contractors are hungry for work. Supply houses are overstocked and want to liquidate their inventory so the materials are priced closer to wholesale. A reasonable quote would be $35k during a recession. Only looking at the cost of the remodel you’d think waiting for the recession is $25k cheaper, right? On a cash basis $60k - $35k = $25k. When comparing those two cases in isolation that is true. However, no purchase is made without tradeoffs. Next we will consider the impact of investing the money given market conditions. Just like the price of a kitchen, the price of the S&P 500 can be had at a great deal during a downturn. Remodel the kitchen during an economic boom at a cost of $60k. Let’s assume the market is at or near the top and your portfolio would give a below average return of 4% per year (blended asset allocation of stocks/bonds). Investing $60,000 at 4% over 6 years comes out to $75,919 a gain of $15,919. Remodel the kitchen during a recession at a cost of $35k. During the last stock market recovery the compound adjusted growth rate of the S&P 500 was about 15% (from 2012 - 2018). $35,000 invested at 15% over 6 years comes out to $80,957 or a gain of $45,957 - more than enough to pay for for the original kitchen remodel! Pulling the trigger on the remodel during the recession has a higher opportunity cost ($80,957 vs $75,919). On paper over six years that makes it the less attractive option even though it is $25k cheaper up front. Oh no.... we’ve uncovered a new way to stress yourself out finance wise. 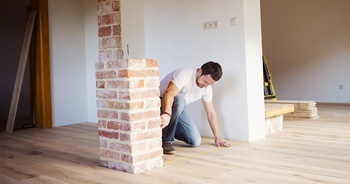 Not only do you need to figure out if you can afford a kitchen remodel (on top of picking out cabinets, flooring, tiles, etc), now we’ve asked you to factor in the condition of the overall economy and expected rates of return into your decision - yeesh! The results are driven by the expected rates of return used in the examples. Nobody actually knows what future returns will be. The 4% rate of return was for illustrative purposes. It could be much much worse… If the expected return was negative, the opportunity cost of investing in the market would be negative. That would mean you'd be better off with the kitchen than in the stock market, no matter the price of the kitchen. Let’s take a step back…. to some extent this comparison is not realistic. Having a new kitchen is a done deal, it adds value to your house, and you get to enjoy it (assuming you pick the right contractor and your spouse likes the design choices). On the other hand “gambling” the money in the market is a wait and see kind of thing. You’d only know what the payoffs were after waiting 6 years and by then it would be too late to change your mind. One thing that is unaccounted for is the added value to the home the remodel provides, but it may be a wash anyway. A new kitchen, assuming it was done tastefully, will likely add most of it not all of the cost to the value of the home. If you paid $35k for the kitchen remodel, in a sense you've invested that money into the local real estate market. But it gets more complicated... Kitchens depreciate, so in 20-30 years any bump in value from the new kitchen will be gone. Plus you can't eat your house. That is, you can't sell a slice of your house to pay for your retirement expenses. A primary residence is typically not counted towards investable net worth. Broadly speaking waiting to get a good deal on a major purchase can actually be a way of shooting yourself in the foot retirement wise. When home remodel prices are low, it stands to reason that stock prices are low too. Deciding NOT to contribute to the market when stocks are cheap can cause people to miss out on important gains that come with “buying low”. During a recession what smart investors do is stay the course with their retirement savings plan and continue to automate their savings which helps them sleep well at night.